Catholic reviews by a Catholic teen for books, movies, and music, and much more! 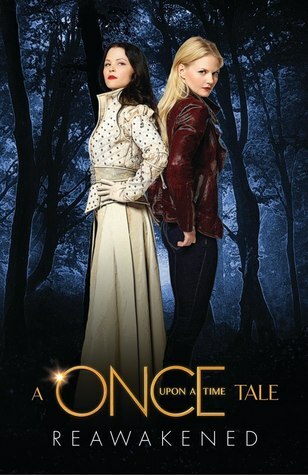 Emma Swan's life has been anything but a fairy tale. She's been on her own since she was abandoned as a baby--that is, until the night of her twenty-eighth birthday, when Henry, a ten-year-old boy, shows up on her doorstep. He's the son Emma gave up for adoption, and this surprise visit turns her life upside down. Henry takes Emma back to his home in Storybrooke, Maine, where, Henry claims, all the residents are actually fairy tale characters who can't remember their true identities. And if Henry's right, that means that his sweet-natured, lonely schoolteacher Mary Margaret Blanchard is really Snow White, the iconic princess ... and also Emma's long-lost mother. The closer Emma comes to Henry in Storybrooke, the harder it is for her to ignore the dark curse that haunts this small New England town and binds her to Mary Margaret. If Emma can learn to accept her destiny as Storybrooke's savior and break the curse, she just might get the family reunion she's dreamed about her entire life. I love the show Once Upon a Time, so I snatched up this book right away when I found it at my local library. I've only watched about half of the first season, so I was expecting this book to be an enjoyable read for the first half, and more exciting in the second half. The read turned out mostly that way...but it was a little bit of a disappointment. The book focuses mainly on Emma and Mary Margaret's (Snow White's) point of view, with barely any attention paid to other characters - such as Mr. Gold/Rumpelstiltskin, who is undeniably one of the most interesting characters (so I was obviously very disappointed by the glossing over of the "Skin Deep" episode). The focus on solely Emma's point of view also severely downplays several incidents (e.g. the death of a certain character). Some stories, such as that of Hansel and Gretel, are completely skipped...and the stories of the fairy tale world (besides the Snow/Charming story) are hardly even mentioned at all, which is a crying (no, screaming) shame. For the parts that I haven't seen yet, I was a little confused because the author mainly represents David (Prince Charming) as a total...well, joke. Very un-Prince Charming. But I guess we all have our mistakes/faults...and, then, I haven't seen that part of the show so I don't know whether it's realistic or not. However, I did regain my earlier excitement towards the end when I was waiting eagerly for (SPOILER ALERT) Emma to break the curse. Alyianna has read 0 books toward her goal of 50 books. 5 or less - Something definitely wrong with this book. Stay away as you would from a fierce dog with sharp teeth! 6 - Bad. Very badly written, or I just wasn't interested at all. 7 - Okay. Definitely not on my read-again list. 8 - Good. But I don't know if I really will read it again. 9 - Pretty good. I will probably re-read this book. 10 - Awesome! This is a book I will certainly read more times in the years to come. 11 - I love this book/movie/CD so much I couldn't help making it more than 10.